The first rule about The WashHouse? 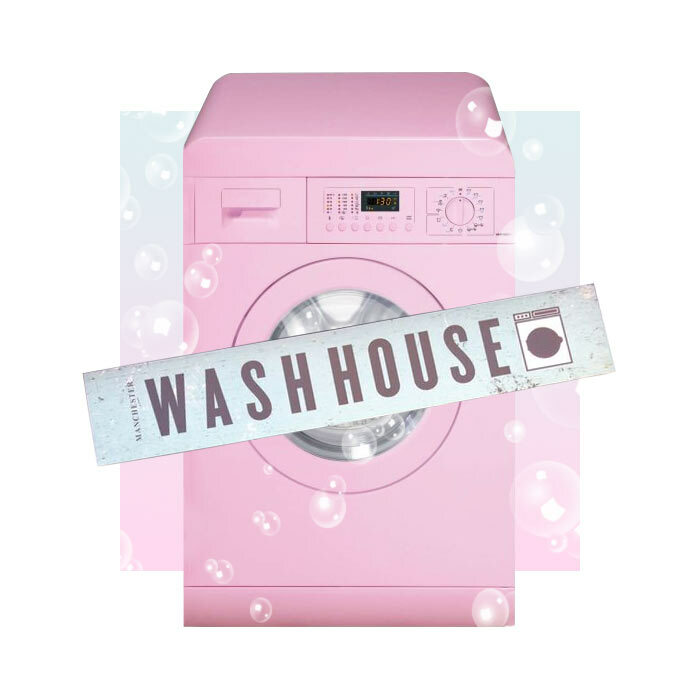 You don’t talk about the WashHouse. Err.. except us right now. This is allowed. Probably. You’d be forgiven for thinking you’ve arrived at a launderette on first glance, but girls, PLEASE don’t turn up here with your bag of washing. We won’t ruin the rest, but if you want a difference experience you should book in ASAP. It can be super daunting trying such unique cocktails – what if you don’t like the flavours or aren’t sure how best to enjoy it!? THESE are the thoughts that keep us up at night. Anyway, the staff are super lovely. We’re talking like reeeally nice. If you have any questions or want recommendations or even if you just need the bowl of snacks in the middle of the table re-filling (for the fifth time), they’re attentive and friendly. And they don’t seem to mind when we eat our body weight in wasabi nuts and pretzels. We thought we would round up the best of the bunch that we tried. 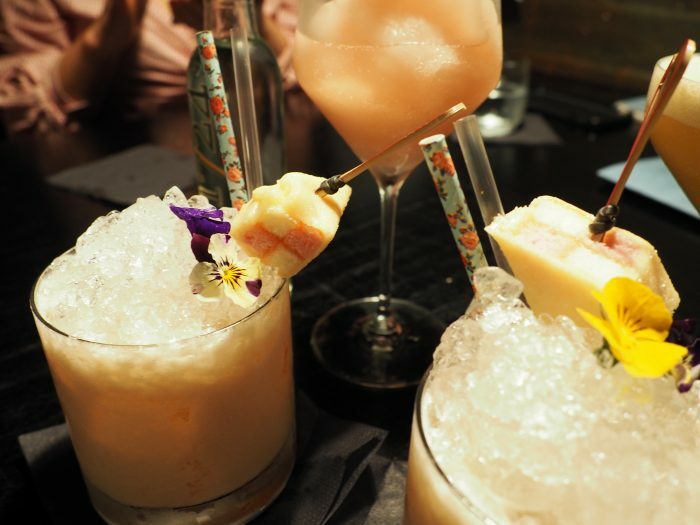 Seriously, we can only imagine how nice some of the cocktails we didn’t try were, based on these bad boys..
Let Them Eat Cake – a milky gin-based cocktail with apple and elderflower flavours. 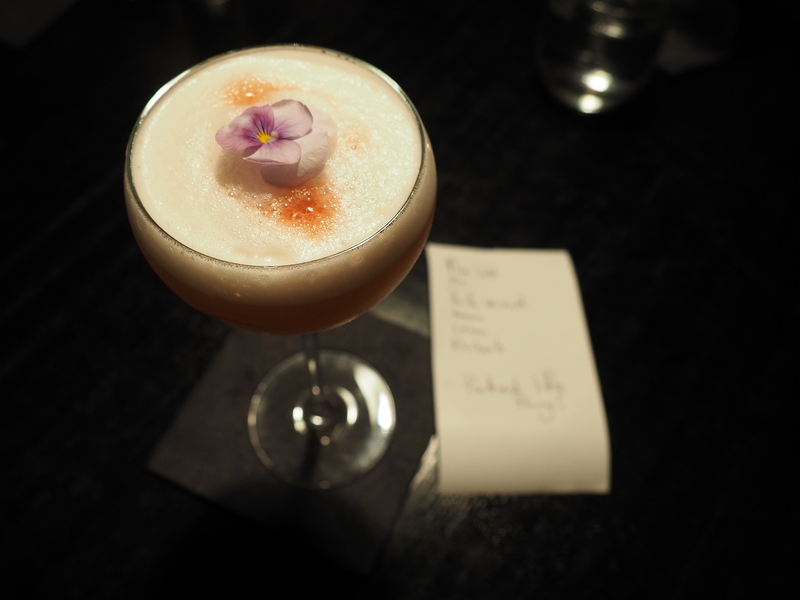 This was by far the prettiest of the cocktails, coming decorated with edible flowers and a slice of Battenburg. 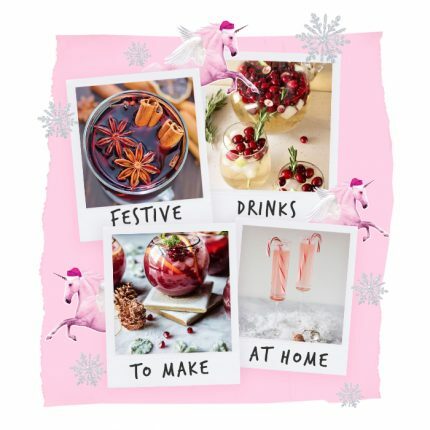 I mean, cocktails and cake – does it get any better? Chocolate 3 Way – if you’re a chocolate lover (and who isn’t), this is 100% for you. Before drinking this, you have to snort cocoa blow and after drinking this, you have to er.. wash your hands. For real though, this is a multi-sensory chocolate experience which you don’t want to miss out on. 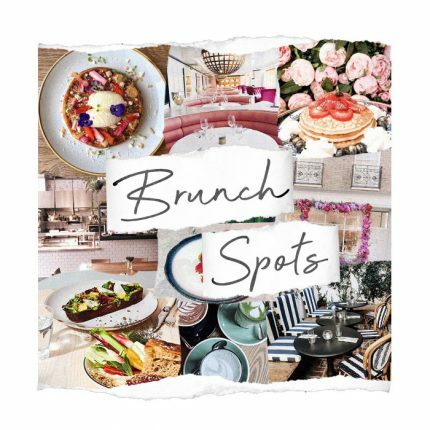 #InstagramThis – You will not be the slightest bit surprised to hear that the one drink on the menu which pays homage our all time fave app was up there in our faves. 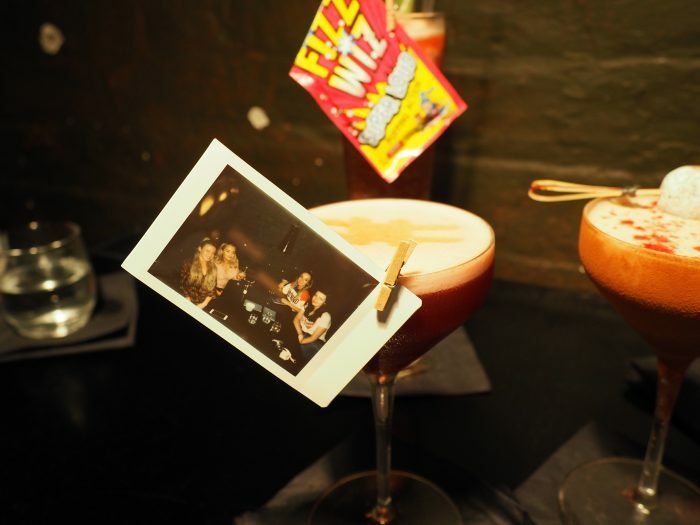 The #InstagramThis is a little fruity number which comes to the table along with a Polaroid camera. 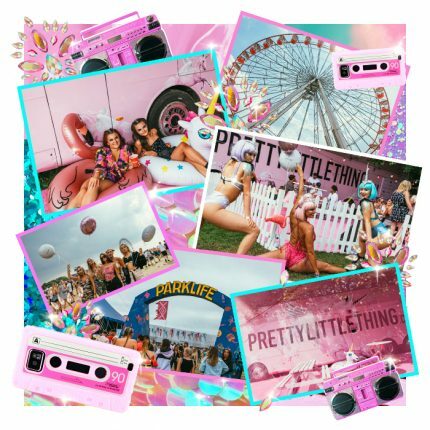 You can get a super cute keepsake – a shot of the whole squad – pinned to your drink. We 💘 this whole concept. Cherry Daquiri – A cherry and pineapple flavoured slushie which comes with a bag of popping candy. Popping candy! Need we even say more? It’s pretty safe to say that we want to go every week. You should really do a wash every week, after all. 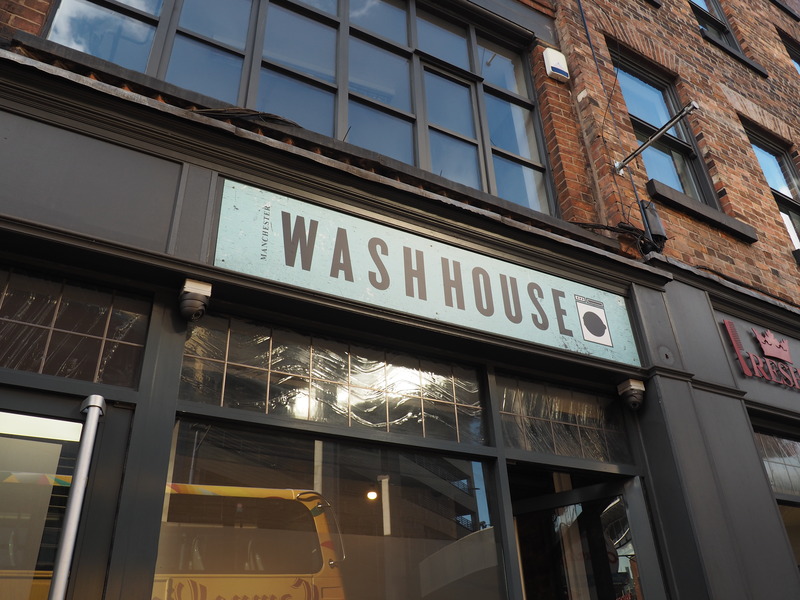 If you fancy a trip there yourself, find the WashHouse below on social media. Give them a ring and ask to book a washing machine. Trust us, they’ll know what you mean.